Chocolate Peanut Butter Epipen and a menu of pimped out cones. In July, I was asked to predict the next food trend. I blurted out ‘soft serve’, and now I wish I had money on it. 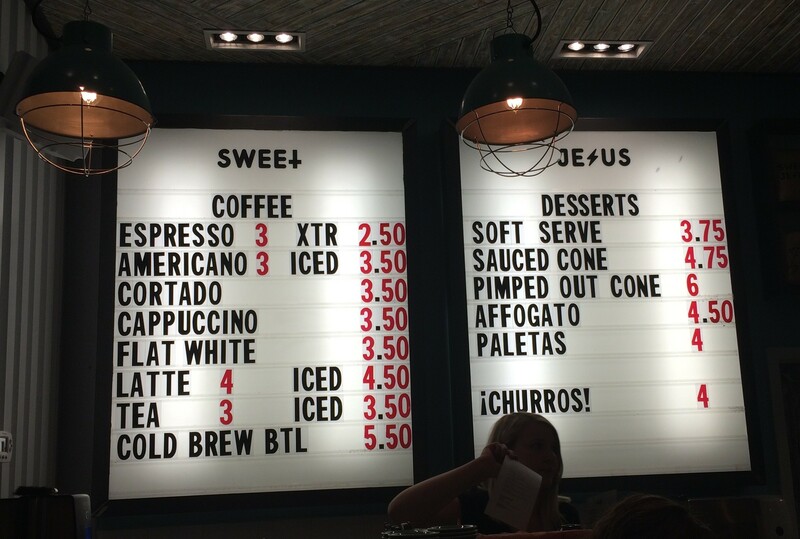 Just two months later, soft serve and espresso bar “Sweet Jesus” opened in Toronto on John St., north of King West. Their opening coincided with the beginning of the 2015 Toronto International Film Festival, which is how I (and hordes of film-goers pouring out of the TIFF Bell Lightbox) ended up there. It’s a good thing that TIFF fans are experts at lining up, because that is what you have to do most evenings at Sweet Jesus. 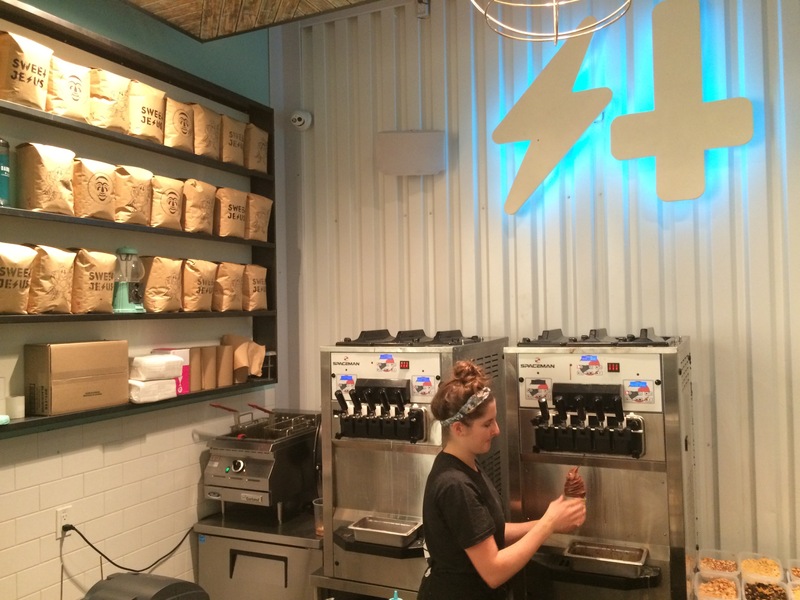 The menu is deceptively simple: soft serve, espresso, churros and Mexican paletas (popsicles). 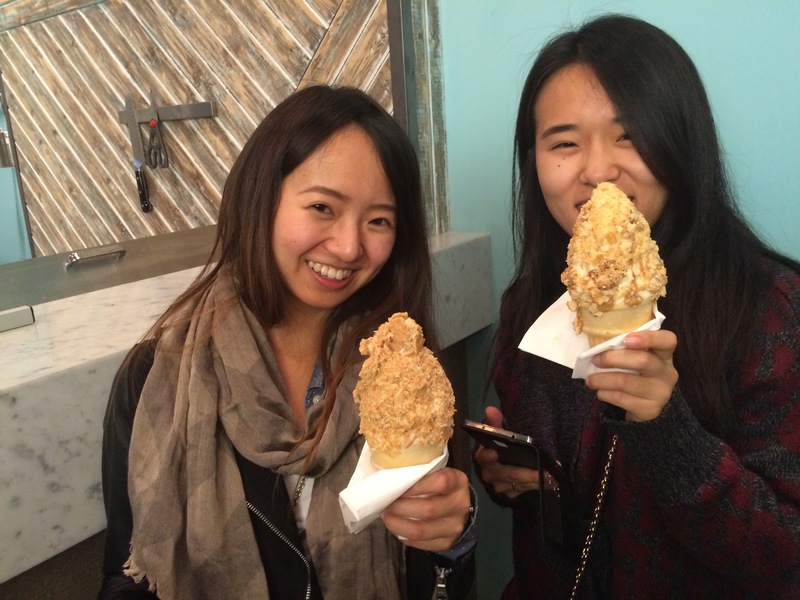 But it is the soft serve which has the starring role. Four flavours are available for purists (chocolate, vanilla, raspberry lemonade and burnt marshmallow), but the pimped out cones are the big draw. 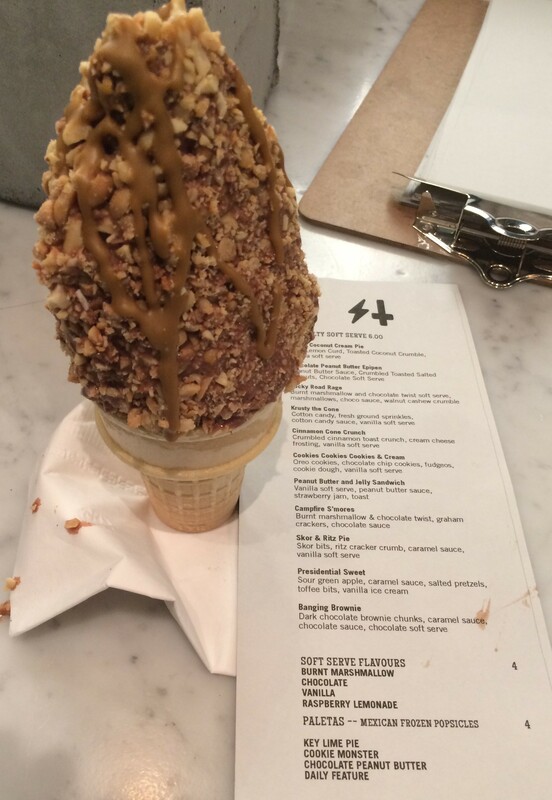 Sweet Jesus will dress up your cone six ways to Sunday – well, actually eleven ways. On this occasion, I opted for my favourite combination of flavours – chocolate and nut – which is frighteningly named, “Chocolate Peanut Butter Epipen”. My new friends in the lineup, Evelyn and Caitlin, ordered the Lemon Coconut Cream Pie (left) and the Skor and Ritz Pie (right). Had I known that our cones would all be identically beige, I would have ordered differently. We unanimously agreed that our cones were big enough to be shared, although I cannot promise that a bowl and spoon is an option. I notice Instagrammers posting recent photos of a drip catcher, which seems useful, but was not offered on the evening of my visit. The little alcove on John Street which houses Sweet Jesus has recently welcomed the third incarnation of La Carnita and the second location of Union Juice, making this a very popular place to meet up en route to and from events in the festival district. There is a nice little square for hanging out, too. My next prediction? Specialty churros and Mexican hot chocolate to help us make it through the colder weather around the corner. Tuesday to Saturday: Espresso 7 a.m. to 11 p.m. Soft serve 12 p.m. – 11 p.m.
Sunday and Monday: Espresso 7 a.m. to 10 p.m. Soft serve 12 p.m. – 10 p.m.
As long as temperatures hover above 25 degrees C in downtown Toronto, popular patios have one thing in common – ice cream. Its purveyors know that the pleasure each scoop brings is due only in part to the perfectly addictive combination of cream, sugar and egg; the greater pleasure comes from something even more elusive. Ice cream evokes a simpler time, and like our own childhood, its qualities can be sublime, but ephemeral. My first recollection of the hard work required to produce what Guelph University food scientist Doug Goff calls a “frozen foam” is of taking my turn at an ice-cream churn during summers at the cottage. 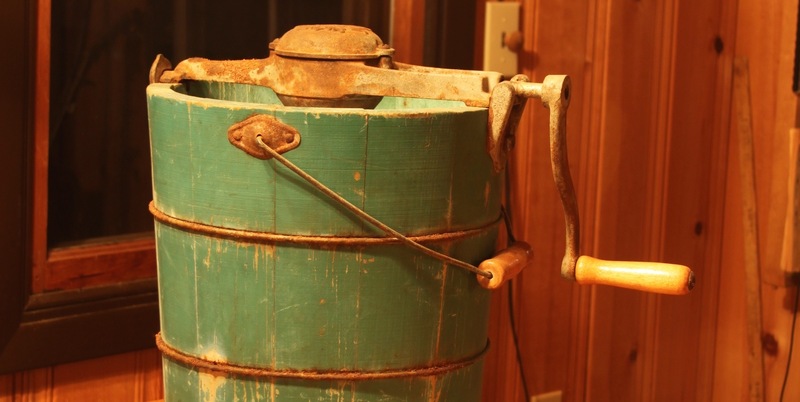 And while our own White Mountain churn dates from the 1930s, that company’s feat of domestic engineering has remained relatively unchanged since the company began production in 1853. The base custard recipe becomes a “foam” with the aid of two sets of interior paddles that rotate in opposite directions inside the metal chamber, while the outer bucket contains a brine of salt and ice capable of dropping to a chilly -18 degrees C. The watery brine makes contact with the entire exterior of the metal chamber, causing the custard to increase in volume, and to freeze. Therein lies the key to a soft, creamy frozen dessert: if the foam is not kept in motion, its crystals grow large and disappointingly crunchy. Keeping the paddles moving through the rapidly freezing mixture keeps the crystals tiny and undetectable on the palate. 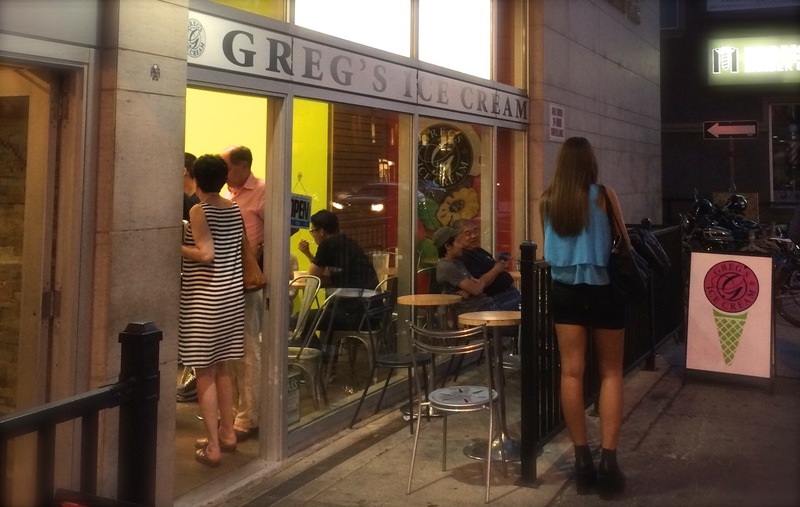 For over three decades, Torontonians have heralded summer by lining up at the door of Greg’s Ice Cream on Bloor. According to Greg’s employee Katherine, the shop uses natural ingredients and traditional methods to churn their ice cream. On any sunny day or balmy evening, the faithful can be seen rescuing each drip of the most popular flavour, roasted marshmallow, afraid of losing what they have waited for after a long Canadian winter. Some of us take our ice cream home and put it in the freezer, only to discover that like childhood, its moment has passed – foam collapsed, crystals formed. P’s first attempt at baking Mazanec (Czech Easter bread). Thanks, @czechcookbook for your great videos!